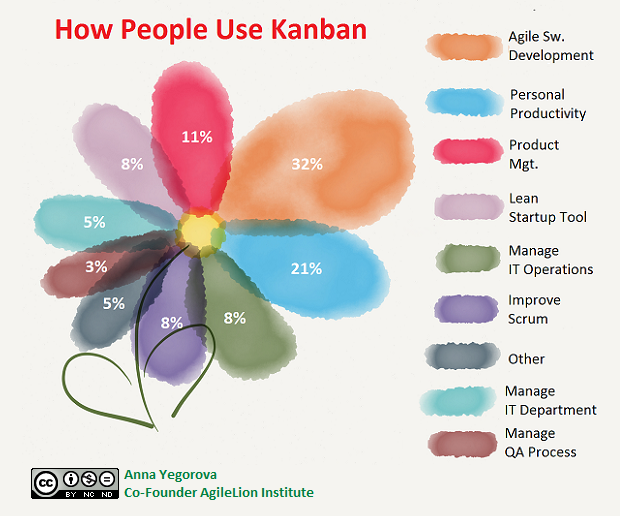 At the beginning of this year we conducted a poll entitled: "How Do You Use Kanban". The purpose was to find out how people use Kanban in real life at work and beyond. So it seems we were right when we tailored the Kanban Ace method for IT, Software Development and business: 74% of use cases for Kanban fall within those areas! In addition you can use the simpler Open Kanban for your personal projects, or you could also consider Personal Kanban. How about you, how do you use Kanban? Use our comments to answer!